I've been using the Anker USB 3.0 Docking Station since four years ago. It's a wonderfull piece of hardware, for sure. But since Windows 10, the USB 2.0 rear ports don't work anymore. The hub doesn't recognize pendrives, my Epson Scanner or external drivers. All the other connections are working ok. I'm running Windows 10, version 1803, in a Sony Vaio - S serie notebook. The Display Link drive was installed direct from Microsoft. 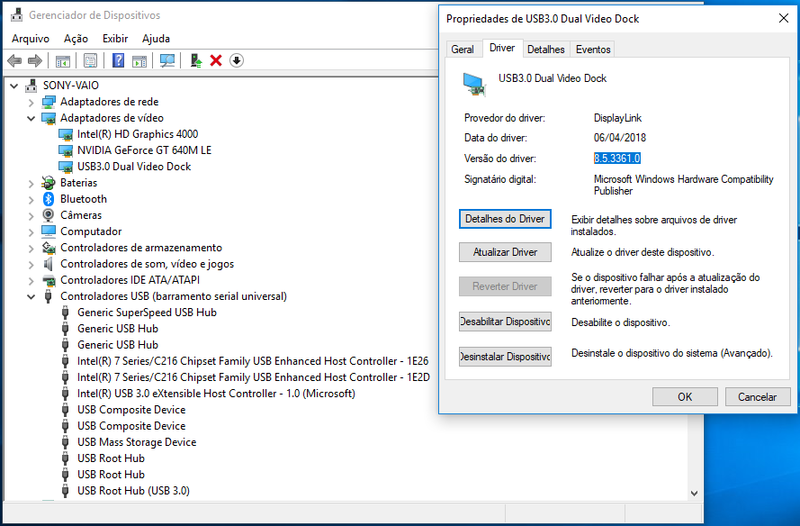 I would like to know, in the image below (sorry, it's in portugues), witch USB ports are actually hub's ports and how can I fix this. Your best bet would be to email support@anker.com. They will do their best to get this issue resolved for you if the product is within Anker's 18-month warranty. Hope this helps!